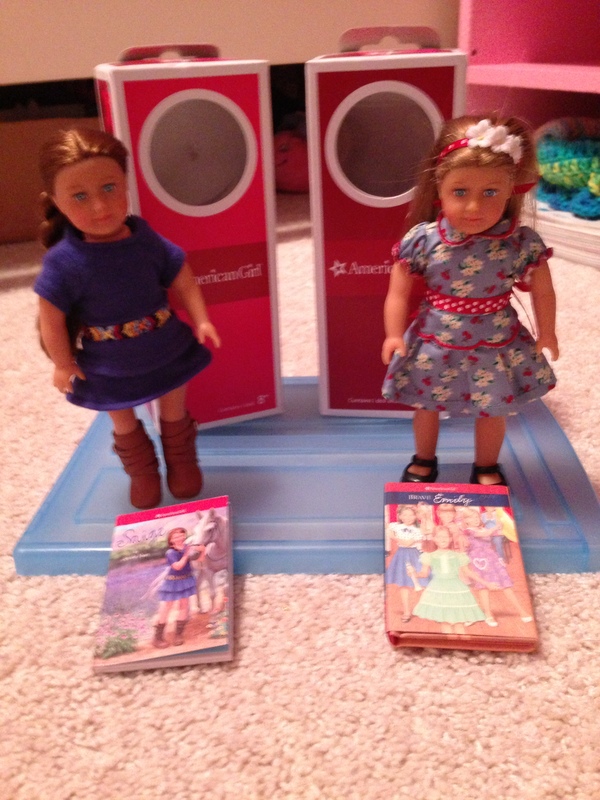 As I have said before, we just love the American Girl dolls. And then we realized that they also come in mini. I was like, are you kidding me right now?! I mean, everything mini is already absolutely adorable but these dolls take the cake. We just had to have some of our own. So this Christmas, two pretty little mini dolls arrived under our tree followed by much squealing with joy and delight. By my daughter. Ahem. They even come in their own boxes with their own mini stories! How cute is that? So we received these for Christmas and they were super cute, but then they just went back into their little boxes as there wasn’t much that could be done with them. There are no accessories that go with them and there isn’t any clothing either besides what they are already wearing. Finally I decided that something had to be done. I really didn’t want to make clothes for them as the clothing that they came with is really sweet and I didn’t want all of the clothes to get lost. Especially those little boots!! So I decided that instead of sleeping in their boxes, these pretty little dolls needed some beds of their own. Dilemma: These are 6 inch dolls. That means that there is absolutely no doll furniture that fits them anywhere. Most doll furniture is on either a 1 inch scale which is very tiny or a 12 inch scale which is for a Barbie doll or an 18 inch scale which is for a full sized American Girl doll. I thought about making them beds out of their little boxes, but I really didn’t want to destroy them. I also didn’t want to make a bed out of cardboard as I find that it doesn’t hold up as well as wood. Off to Michael’s I went to try to figure out a solution. 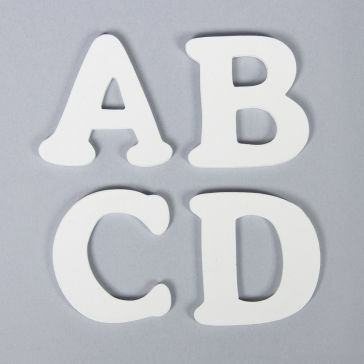 The first thing that I came across was these little wooden letters. The letter B or even the D turned on its side would have been perfect for a headboard but as it was, they were quite expensive. 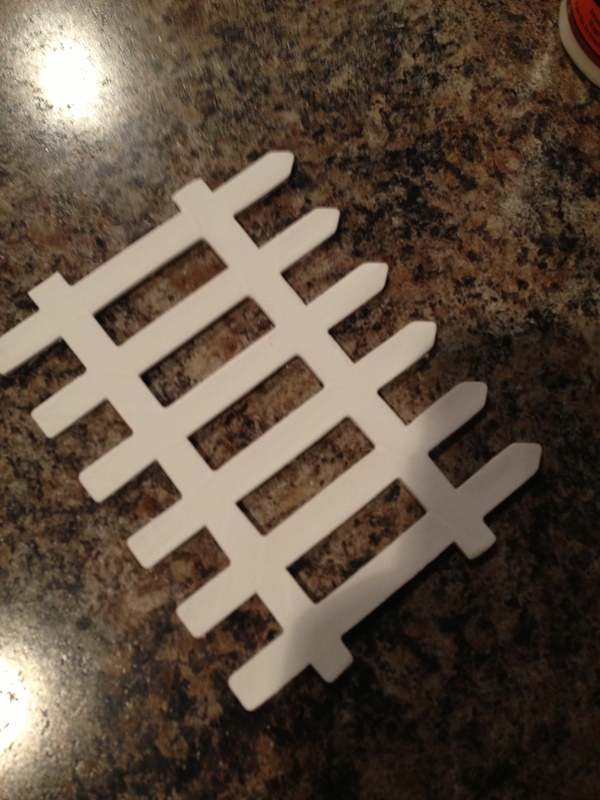 Instead we finally settled on these little wooden fence pieces that ended up working perfectly. At a dollar apiece, we couldn’t go wrong. The next thing we had to find was a suitable frame for the bed. 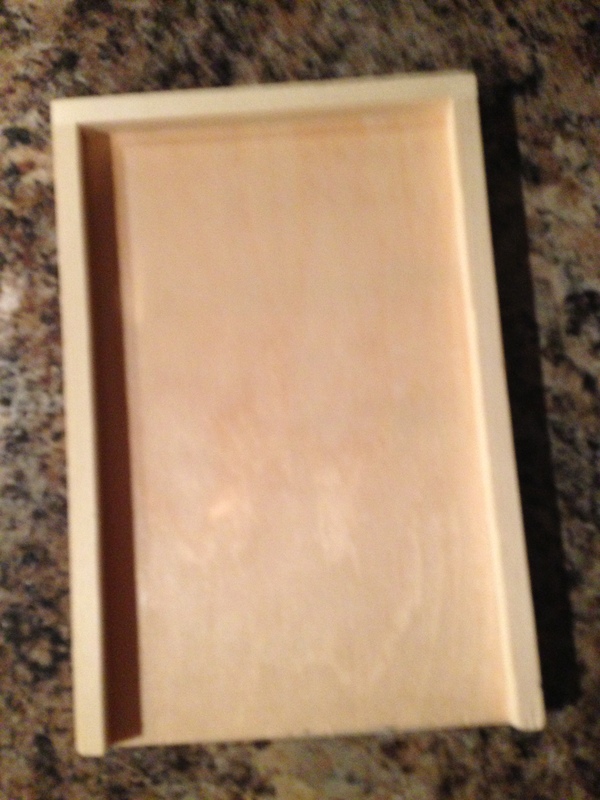 What we eventually found was a wooden plaque with recessed edges. It was a bit too long so I just cut it in half with a small hand held saw. It worked perfectly. 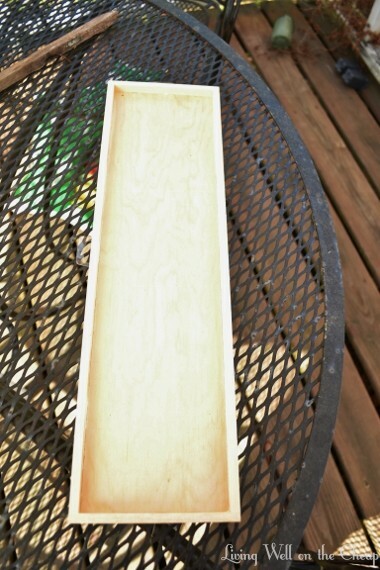 The next step was to glue it all together using Gorilla Wood Glue. This was tricky. I had to clamp the frame to the little wooden fence pieces until they dried but it worked like a charm and the finished product is very cute! We added some pretty stickers to the fence headboard and we cut a fence piece to size to use as a footboard. 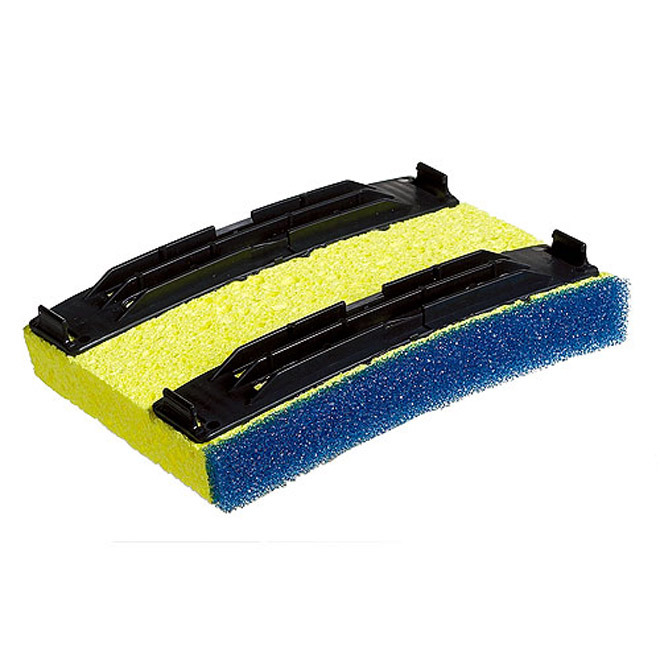 As for the mattresses we used sponges. They are called Easy Squeeze and they worked perfectly. We just pulled off the black plastic parts and wrapped them in cute fabric using a glue gun. They are amazingly sturdy. 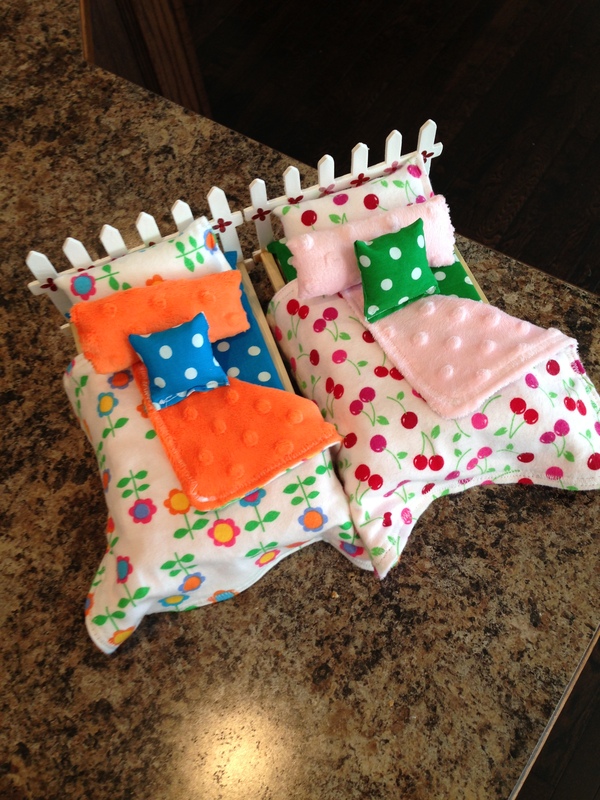 Then I sewed up some cute bedding and pillows for the beds and they were done! This was such an easy and gratifying craft to make and the results are truly adorable and durable. I hope you find this tutorial useful in making your own beds for 6 inch dolls! Who knows, maybe there will be other 6 inch doll furniture crafting in our future.